I’m so excited to announce that I’ve accepted my first ever job as a commercial pilot. I’ll be flying as a First Officer for Mokulele Airlines this summer all around the Hawaiian islands. Better yet, Rod and Haley are going to be there with me as two of my Captains! So how is all of this working? Well yesterday I signed my conditional job offer with Mokulele, which is a standard contract for any airline. Upon successful completion of training and passing the checkride, I’ll be good to go! 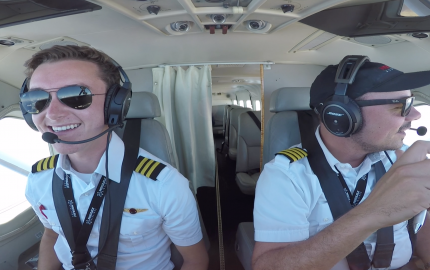 I’m working with Mokulele this summer to produce a video series about what it’s like to become a commercial pilot for the first time… I want to show you what it’s like to live as a pilot in Hawaii! We have a LOT coming this summer, so make sure to check back on the YouTube channel soon. Mokulele has roughly 20 brand new Cessna 208 Grand Caravan EXs and a little more than 120 pilots. 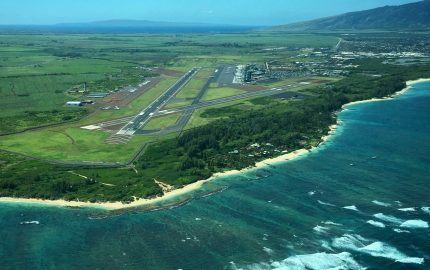 They provide scheduled Part 135 air carrier service to every Hawaiian Island except for Kauai, which is out of gliding range for the single engine C208B. 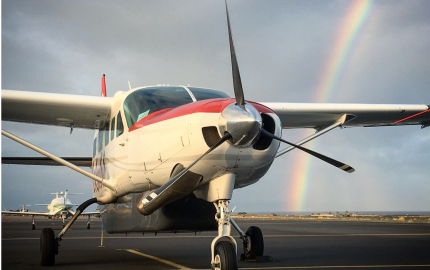 While the Caravan is typically a single pilot aircraft, Mokulele requires First Officers per their FAA operations specifications, in addition to their general operations manual. That means all of the flight time is fully loggable as an SIC for the airline – Talk about an awesome way to build flight time! As a pilot for Mokulele, I’ll gain standby privileges on most airlines… And can even fly jumpseat on a few! Again, there’s a lot of cool stuff to look forward to this summer. Keep in touch, you’ll want to see what comes next! Congratulations Buddy . I’m so happy for you . Enjoy ! Hope the job goes well for you . Have fun flying arouda The Hawaiian Islands ” aka Paradise ” . Swayne, this is awesome! I am so happy for you and what a great way to build time… in Hawaii no less!! Enjoy every moment! And… I’ll be emailing you soon! Thank you! 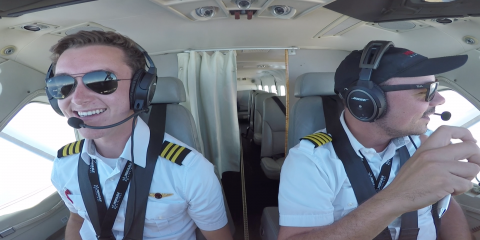 I’ll have jumpseat privileges this summer – Maybe I can ride with you somewhere! That would be great if you could!!! Sometimes, I can remind my motivation from your video. Actually, It is different to live and think between yours and my country. But, I wanna enjoy to fly like you. (I’ve ever flown not yet, sooner or later I’m going to fly at the UND)I am really appreciate that you post on the video. You’ll get there one day! Keep going after it! Thanks Erica! Kauai is in my top 3 favorite places in the world by the way! Congratulations Swayne! Great way to build some time. Make your hobby your job and you’ll never work another day in your life, as someone said. 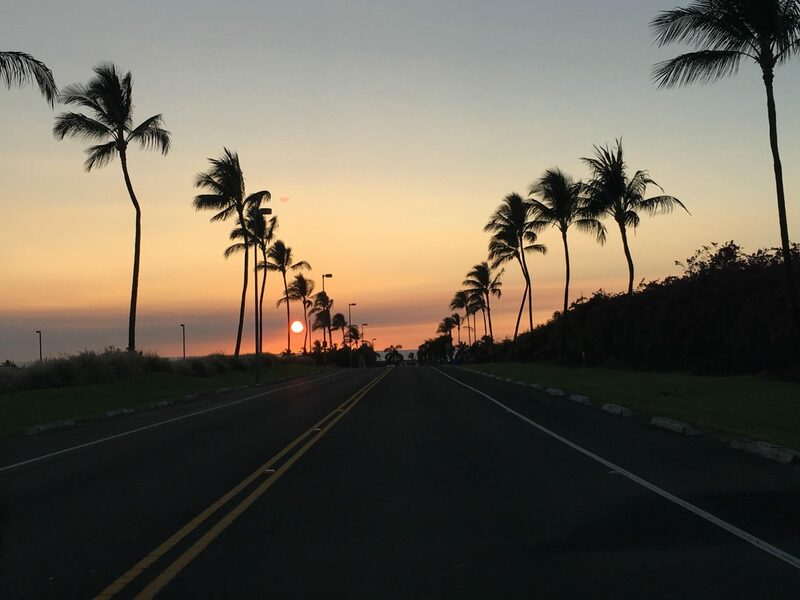 Aloha and enjoy paradise, it’s a one-of-a-kind place to live. Be sure to hook up with one of the local flying clubs to do some island-hopping. And have fun getting all the radio work straight in and out of the class B. It can get a little strange! I’m excited to get started! 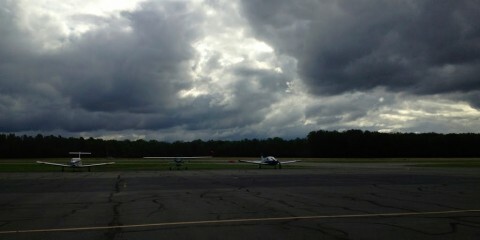 I know some people at a few flight schools there so I’m hoping to definitely do some GA flying when I’m there. I can’t wait to do some travel with ID90 and also use the jumpseat privileges I’ll have. Mokulele also participates in the ID90 interline fare program, pretty deep discounts for standby travel on a huge list of other airlines. Be sure to check it out! I look forward to hearing you on the radios. weather in my USAF GV or the 172’s i fly out here in Honolulu. Congratulations Swayne! My one piece of advice to you is to enjoy it as much as you can. This is the real flying, Island Hopping tropical islands, and to do it and get paid for it is awesome. 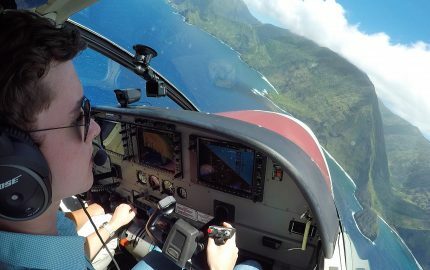 One day, when you get onto the big jets and you’re putting the autopilot in at 400feet, you’ll look back and think; wow I had one hell of a time flying around Hawaii! Unfortunately I went straight onto Boeings (737 at age 22, 777 at age 27). If I have one regret, it’s missing out on flying like this. Keep the dream alive!! Hey! I really like your videos. Here is one thing that I am wondering for a long time. How did you get such a good quality of audio in your video, any external cables? I have been looking for this on so many websites. I will be really appreciated if you can make a video about this. Hi! Your videos are awesome! 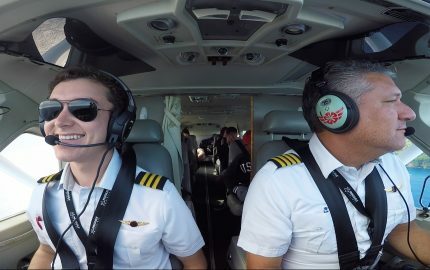 I’m an 18 year old pilot working on my commercial. I see you’re flying for the summer. Does Mokolele hire pilots for summer jobs? Great article! I just applied to Mokulele for a future FO position. We follow on IG too. Hope you’re doing well!